That’s the motto for the Columbia Gorge Winegrowers. Americas’ Most Unique Wine Region is located less than an hour East of Portland, Oregon. Columbia Gorge Growing Region includes the fertile soils of both sides of the mighty Columbia River. The Washington and Oregon grapes and wines of this unique region are a spectacular selection of sweet whites and luscious reds. The wineries span the Columbia River Gorge National Scenic Area through 40 miles of peaceful, open-roads running through double mountain views of Mt. Hood and Mt. Adams. The 7th Annual Columbia Gorge Wine Passport Month happens the Month of April and events, along with times, vary by winery. Your purchased Passport is your access pass to exclusive offers, incredible discounts and unique experiences at 24 Gorge wineries all April long, including three very special, wine-focused weekend events at participating wineries.Passport holders receive amazing deals at our Oregon and Washington wineries with deep discounts, food pairings, barrel tastings, reserve tastings, and more. 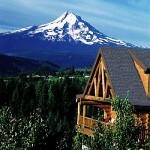 Enjoy a relaxing day, memorable weekend, or multiple weekends touring around the wild beauty of the Columbia Gorge.